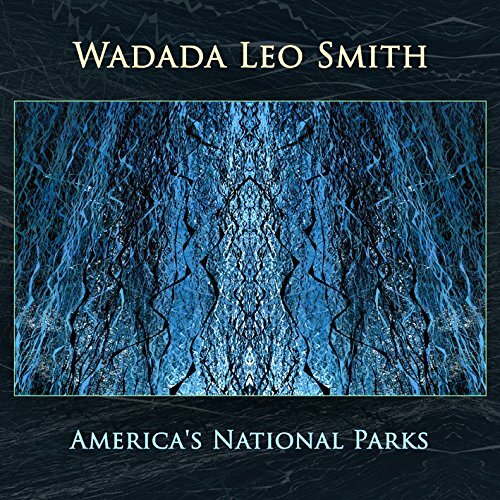 Wadada Leo Smith – America’s National Parks. Smith’s trumpet and Ashley Waters’ cello lead the quintet through a series of pieces that are as extended and spacious as the parks they celebrate. Adam Shatz’s recent profile of Smith is a great primer on his work and quiet aesthetic. 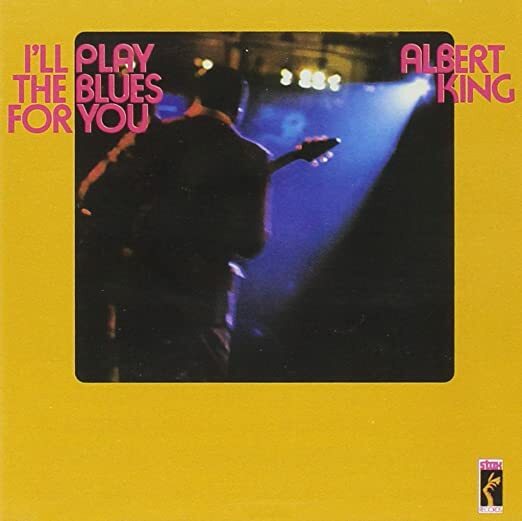 Albert King – I’ll Play The Blues For You. Blues purists criticize this 1972 live album for being too funky (the backing band is the Bar-Kays, who were also working with Isaac Hayes at the time), while for funk aficionados it is too much blues guitar. For the rest of us, the mix is just right–absolutely ripping. 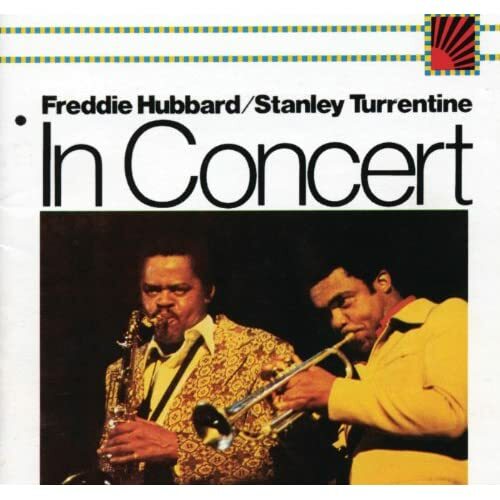 Freddie Hubbard & Stanley Turrentine – In Concert. Jazz-funk fusion is mostly not really my thing, but an old friend recently reminded of this 1973 album, which is a classic of the genre. Ron Carter’s bassline on “Povo” in particular is unbelievably groovy. 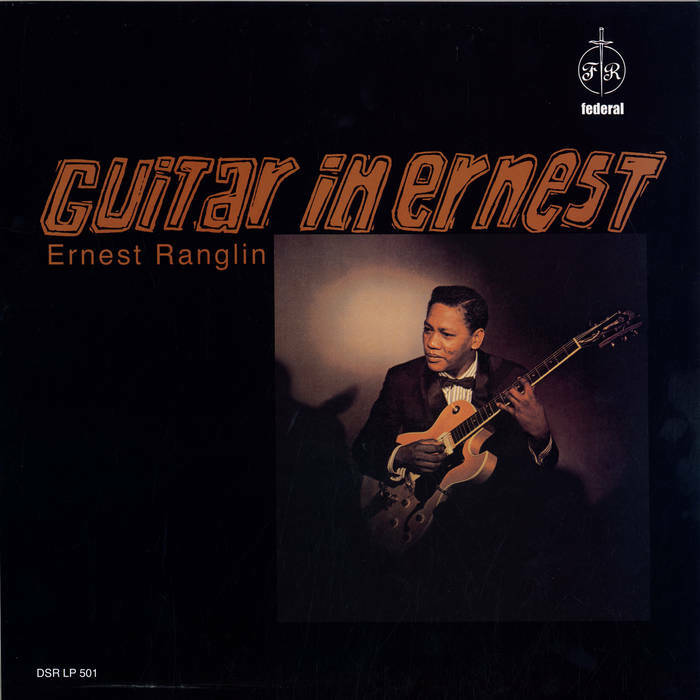 Ernest Ranglin – Guitar In Ernest. This reissue of a 1965 recording gives us a rare chance to hear the reggae guitar master in a more straightahead jazz context; his virtuosity is always astounding. 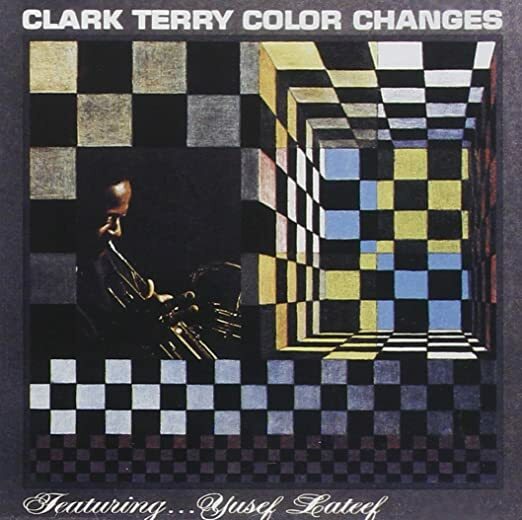 Clark Terry – Color Changes. This is an old favorite that recently popped up on the playlist again. Terry’s octet emphasizes tone color and ensemble work, creating a sound something like a straightahead Sun Ra Arkestra, or a modernized version of Ellington’s small bands. I could listen to 20 more albums like this, but sadly there is only the one. 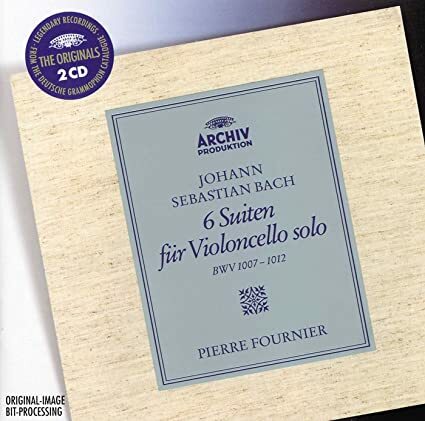 Pierre Fournier – Bach: Six Suites for Solo Cello. I have enjoyed rediscovering these mindblowing, heartbreaking compositions in this classic 1961 recording; I have no educated opinion on the merits of Fournier’s version versus the many other recordings, but it is widely praised and sounds very good to me. 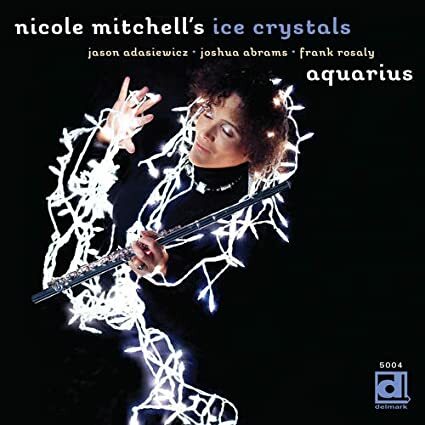 Nicole Mitchell – Ice Crystals. Mitchell has been a frequent appearance on these lists in recent months, and so far I have not found a dud recording from this master of the flute. This one is a lovely, spare quartet with Jason Adasiewciz on vibes. 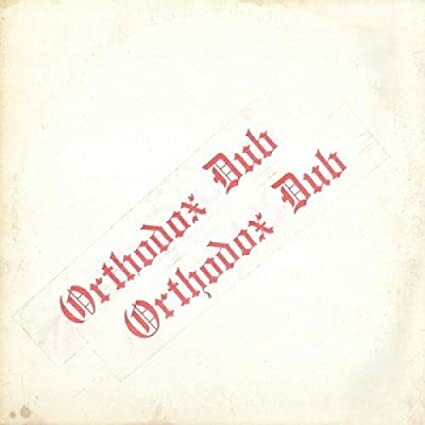 Errol Brown – Orthodox Dub. It seems like brilliant-but-obscure reggae albums should be a finite resource close to exhaustion, yet somehow those crate-digging reissue mavens continue to unearth new gems for the rest of us to enjoy, like this 1978 instrumental masterpiece. 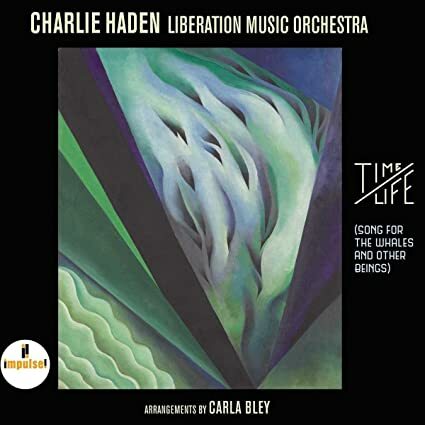 Charlie Haden – Time / Life. This posthumous release combines two live recordings by Haden’s Liberation Music Orchestra, with three tributes arranged by Carla Bley and recorded in 2015, a year after his passing. All are truly beautiful examples of large-ensemble jazz. 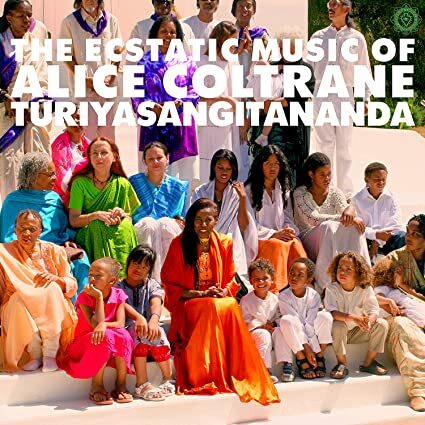 Alice Coltrane – The Ecstatic Music of Turiyasangitananda. One of the more interesting reissues to come down the pike in a while, these self-produced pieces were never released commercially. Those who, like myself, are fans of Alice Coltrane’s 1970s recordings will find a lot to like here, though they can get pretty far from the jazz idiom. The next rehearsal was Friday, the day before the show. Surprise, surprise: Sun Ra opened more musical cans of worms. Songs he’d written hours before—or made up on the spot. Don surely sensed our collective nervous anger, and his anxiety must’ve dwarfed ours. Ticket sales were beyond any previous concert (by show time, the hall would be sold out), and we had virtually no charts prepared. Diplomatically, Don suggested we work on tunes we’d tried before, and Sun Ra, without much fuss, agreed. But even when we summoned forth the riffs as we remembered them, something inevitably wasn’t to his liking. The closer we came to repeating what we’d learned in previous sessions, the faster Sun Ra switched what he was doing. A cop-out, I thought. If anything goes, nothing needs perfecting. But fine. He was the visionary. And so when, with a toss of his hand, as if scattering birdseed, he signaled for the next song to start, I decided to play precisely nothing the way we’d learned it. I’d find a novel way to mutate every note: coming in a millisecond ahead of or behind the beat, tonguing hard or slurring through a half-valve. I’d like to say I did this out of open-minded virtue, but cussedness was closer to the truth. If he was hell-bent on undermining our book-learned perseverance, it seemed only fair to try to beat him at his game. But, strangely, my mischief-making failed to wreck the music. Sun Ra was accompanying us, as usual, on piano, and for every note I sabotaged, he seemed to change his playing, widening the song’s sidelines so I always stayed in bounds. Could it be? I tried again—a purposely sharpened note—and Sun Ra’s fingers danced into a new configuration, his chord seemingly built on my suggestion. Back and forth we went in our loony musical leapfrog, till I was convoluted with amusement. Sun Ra flashed a smile at me—not gloating but in gratitude—and now I saw this kind of sport was the goal. You’re right, it’s a game, I imagined him saying, but all of us are on the same team. I couldn’t say we sounded great, or that I fully “got” it; I still searched for handholds in the din. But now I was attuned to, not tuning out, his whimsies. That is from Michael Lowenthal’s Face the Music: My Improbable Trip to Saturn (or Close Enough) with Sun Ra, a charming set of anecdotes about Sun Ra’s 1990 visit to Dartmouth College (it is a magazine-article-length Kindle Single published in 2016). His recollections are particularly poignant, and perhaps particularly insightful, because he gave up trumpet playing for writing not long after this encounter. 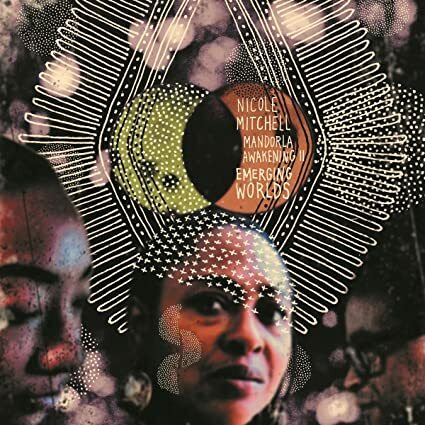 Nicole Mitchell, Mandorla Awakening II: Emerging Worlds. Fantastic work from Mitchell, whose wonderfully expressive, vocalized flute fronts a mostly string-based ensemble (cello, guitar, bass, drums). The bits with poetry mostly highlight that the poetry is not as good as the jazz, but it’s not too big of a distraction. There’s more in this recent profile of Mitchell. 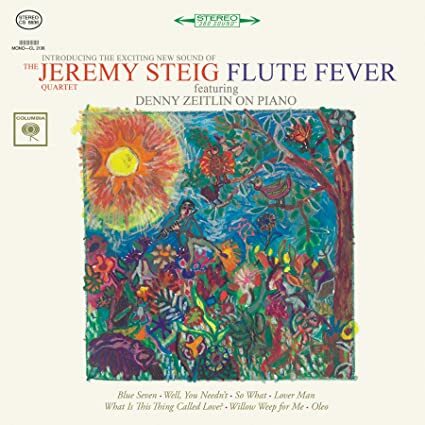 Jeremy Steig, Flute Fever. On this 1963 recording, Steig seems like he is setting out to prove that the flute is every bit as powerful and expressive a jazz instrument as the tenor sax, tackling a couple of Sonny Rollins tunes, Miles Davis’ “So What”, and some other jazz classics. He succeeds brilliantly. 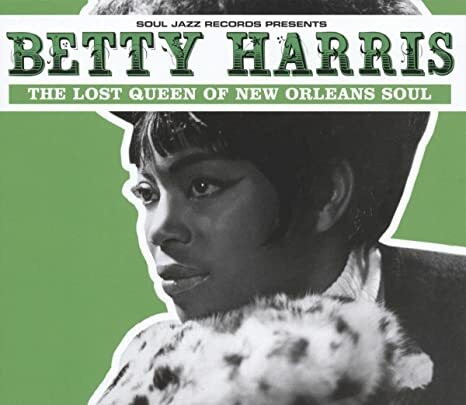 Betty Harris, The Lost Queen of New Orleans Soul. A wonderful collection of singles from the Golden Age of New Orleans funk; Allen Touissant wrote many of the songs, and her backing band is the The Meters. Need I say more? 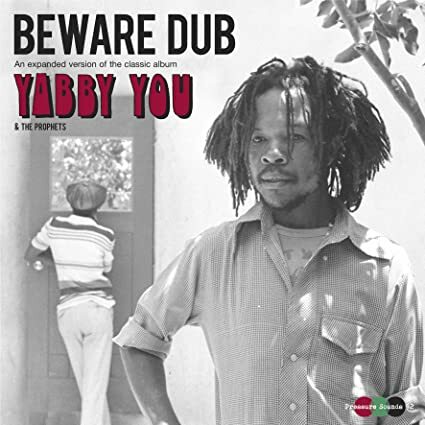 Yabby You, Beware Dub. The Pressure Sounds label continues their heroic work of preserving Jamaican masterpieces. This 1978 dub album is a classic, consistently excellent all the way through. 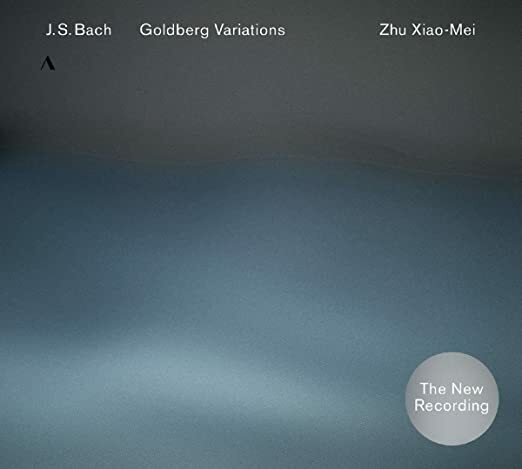 Zhu Xiao-mei, Goldberg Variations. You can always go back to Bach. I am no specialist, but this recent recording sounds very good to my ears: wonderfully clear lines, and less melodramatic than Glenn Gould’s version. And one recording that is not yet in rotation at my house, but certainly will be, is the new album from Ethiopian legend Hailu Mergia; Bandcamp has an interview. John Carter’s Clarinet Summit. If there ever was a trend for clarinet choirs, the recording that started it was probably this group’s 1981 Concert At The Public Theater. In a response to the then-current fashion for saxophone quartets, Carter brought together the New Orleans modernist Alvin Batiste and Ellington alum Jimmy Hamilton to join him on clarinet, along with David Murray on bass clarinet. It’s a great listen, moving from lovely Ellington arrangements to a solo feature for Murray to more adventurous Carter compositions. Unfortunately the album is not readily available these days; the follow-up studio recording Southern Bells is, but to me is a bit less compelling. Hamiett Bluiett’s Clarinet Family. True to its name, this grouping featured every member of the clarinet family, from the massive contrabass all the way up to the tiny sopranino, backed with the great rhythm section of Fred Hopkins on bass and Ronnie Burrage on drums. Bluiett himself, better known as a baritone saxophonist, plays the seldom-heard alto clarinet. This 1984 concert recording is possibly one of my favorite jazz records of all time, not just for the great clarinet sound, but for its high-energy drive and exuberance, reminiscent of Mingus at his best. Douglas Ewart’s Inventions Clarinet Choir. The multi-instrumentalist Ewart is responsible for one of the greatest recorded bass clarinet solos, his feature on George Lewis’ 1978 Homage to Charles Parker. But he also led his own clarinet ensemble starting in the 1980s. I have only heard a few of these recordings, but they are very high quality indeed; mostly they are available through his website. Wendell Harrison’s Mama’s Licking Stick Clarinet Ensemble. In a slightly different format, this group features two soloists – Harrison on standard soprano clarinet and James Carter on contrabass clarinet – backed with a clarinet section and rhythm. Their 1994 album Rush & Hustle is fresh and lively, and Carter’s low-end rumblings are excellent. 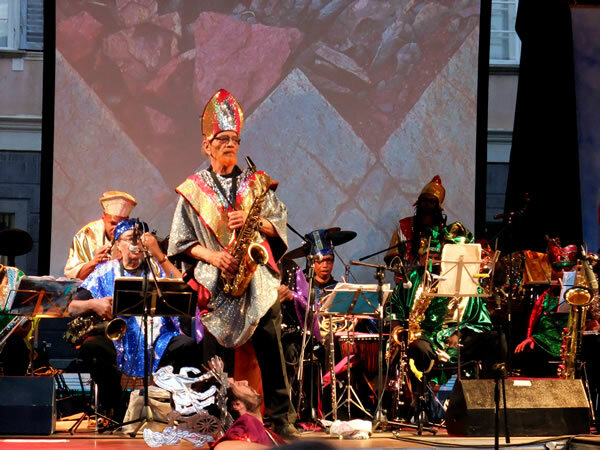 Sun Ra Arkestra – Live in San Francisco. I caught the closing night of the Arkestra’s summer residency in SF, and it was, of course, great. Although I know the Sun Ra repertoire very well, the show was constantly surprising: for instance, “Tapestry from an Asteroid” was enlarged from its original incarnation as a two-minute instrumental miniature to a long, dreamy jam with (newly added?) lyrics. The 93-year-old Marshall Allen continues, amazingly, to lead the band from the stage. His saxophone playing is somewhat diminished, and is now mostly an avant-garde special effect–squawking and screaming while pawing at the keys. But he deploys it in very effective contrast to the more swinging horn section and the ferocious groove from the expanded rhythm section. 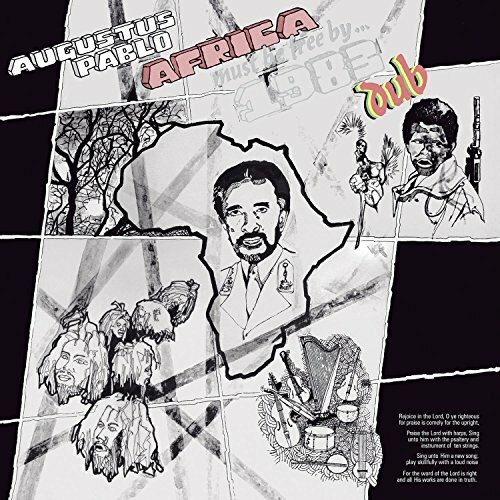 Augustus Pablo – Africa Must Be Free By 1983 Dub. The dub version of the 1978 Hugh Mundell album is arguably better than the original. In any case it’s another minimalist instrumental reggae masterwork by Pablo. 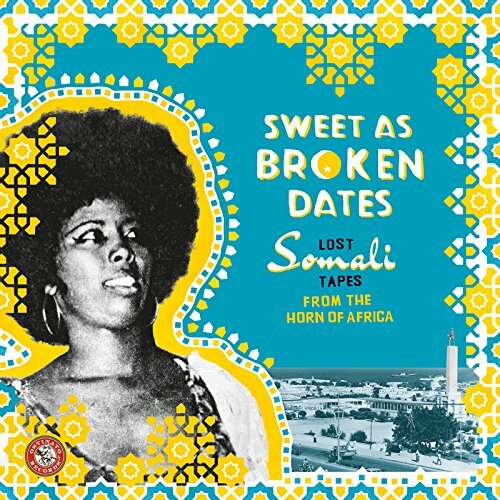 Sweet As Broken Dates: Lost Somali Tapes From The Horn Of Africa. This amazing new reissue landed at the right time for me, just as I was going back to another African treasure, the moody Ethiopian jazz of Mulatu Astatque. There’s been plenty of good writing on the historical context of these recordings; the music itself is fresh and fascinating. Minutemen – What Makes A Man Start Fires. This album (half of the Post-Mersh Vol. 1 compilation), which I had somehow missed hearing before, is a predecessor and a worthy runner-up to their great epic Double Nickels on the Dime. 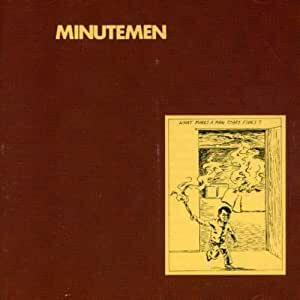 Decades later, the Minutemen’s punky, jazzy miniatures still sound like nothing else in popular music, and the Watt-Hurley partnership remains one of the great rock rhythm sections.